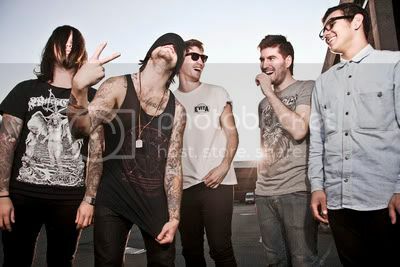 Bury Tomorrow recently shot a video for their upcoming single, 'An Honourable Reign'. The track also comes from The Union Of Crowns, to be released July 16th. The band commented, "So, we've just wrapped up our new music video for 'An Honourable Reign' with the dudes at Sitcom Soldiers! 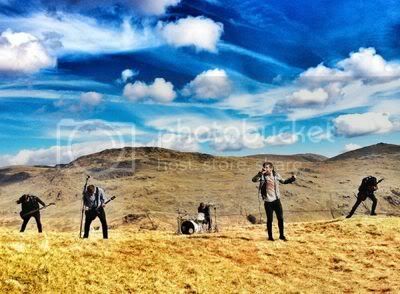 We shot it in the epic region of Snowdonia, up on mountains feeling like we were in a GUNS 'N' ROSES vid! We can't wait for you to see it - check out this still from the shoot (below)!" Commented the band upon their signing to Nuclear Blast: "We are unbelievably honoured to be signing to Nuclear Blast. It feels unreal to be part of a label with such immense pedigree that has so much faith in our music. From the first demo they were sent, the guys at Nuclear Blast were just as stoked on the potential of the record as we were, and that means an awful lot to us. We have always said that this album would be how we defined the genre we've grown up in; what better place to start this path on, than with the world's biggest heavy metal label!"